Did you know that in the state of Iowa, we have one of the most disturbing and long running cold case? The Villisca Ax Murders that happened in June of 1912. An unknown assailant entered the home and using the owner’s ax, slaughtered the whole family and two others, then disappeared into the night. To this day it remains a mystery of who did it. And as a little post-Halloween fun, the house is apparently haunted. The current owner rents it out per night for those willing to deal with the paranormal. Yes, Iowa’s bigger cities and towns have the typical violence one would associate with places with large populations, such as gang violence, homicides, riots, and assaults. But what some people don’t expect is that same kind of danger to occur in rural towns. Yet, it happens. Even in the far flung corners of the state, and I live in one of those corners. Setting my latest series in a rural area, and then writing about the dangers that can come knocking has been fun, and an eye-opener for me. Why? Because I took that old adage “write what you know” to heart and did it. I know rural life, and all its little nuances. I know of the dangers that lurk in the shadows and come to head when tragedy strikes. This is what gives the books depth and layers. A real feast for the senses. And a reality check, because leaving your doors unlocked when you live in the middle of nowhere, surrounded by miles of crop fields isn’t always a good thing. Now it’s over and time to move onto a new, fresh idea. And who knows? Maybe it’ll be in another rural town, somewhere in the good ole USA. This is the second excerpt I have read and really like what I see. I think small town mysteries and suspense stories are gripping. The smallness of the community brings things, good and bad, to the surface so much faster. 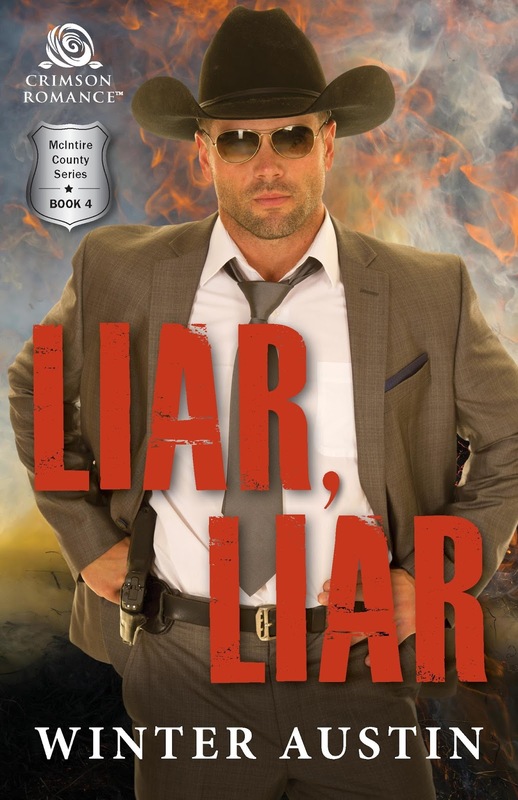 I look forward to reading LIAR, LIAR.